i found this pic on Vannatta bros.
is it a stump removing tool ? does someone know how to use it ? and, most importand , will it fit on my 450 ? Hmmmm. Looks more like an 'alien probe' to me. And, none of us want to know how *they* use one! Looks to me like you back towards the stump and let that thing submarine under it. That'd work. Not what those guys are using it for. More likely, it pops rocks for them from the look of things. Quite the rig, though. They are welcome to park it at my place. And, forget where they parked it, too! That same website explains the long attachment is a stump splitter- it certainly looks like it could work for that task better than the rippers or the blade. 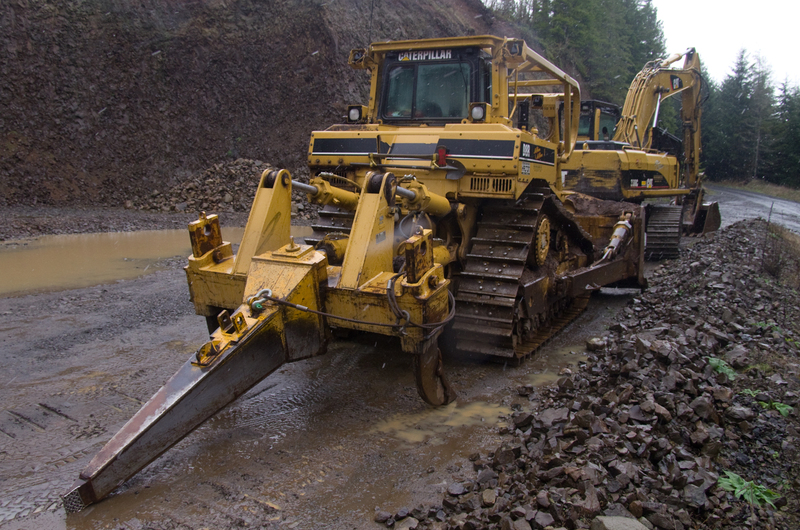 BTW, that is a really cool website with a lot of historic information on old dozers- thanks for pointing to it.